Chris n Phil are really good guys. We had a great experience as our son purchased an Infiniti Q50S, and most of all he was treated with class and extreme respect. A week later, my wife n I went up and bought the same car. One thing cars now a days are full of electronics and Phil n Chris fully understand the options and are willing to sit with you and make sure you fully understand. All told my entire family is happy and I would highly recommend Right Buy Automotive. I purchased a Mazda CX9 from Chris and Phil and couldn't be happier with it and my experience. I told Chris what I needed in a new vehicle and he called a few days later to tell me he had my car ready for me! He was right, the CX9 fits all of my needs perfectly. They also bought my previous car for a fair trade in value and helped me to get low interest financing. As an added bonus, they were great with my kids as well. My four year old son also agrees that they deserve five stars due to their purchasing of girl scout cookies from his sister, the stuffed animal they gave him and the never ending water bottles. Thanks so much Chris and Phil! The guys here were great to deal with. 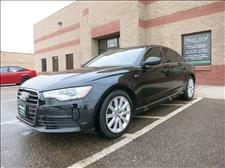 I picked up an Audi A6 from them which was priced well and exactly as they described it. I traded in a vehicle and was given a very fair trade value on it and they described exactly what they would have to fix and estimated costs to justify their price. Up front they told me they were not an average car dealer and I have to say they are right. I was in and out in around an hour and a half including test drive, trade in, and financing. I hope these guys continue to grow their business because they're doing it right. Oh, and if you're looking for a BMW or Infiniti that's priced right and in perfect condition you need to check this place out. They've got a nice selection of really nice cars. I contacted Chris on a Saturday in the morning and let him know I was interested in looking at a car he had for sale. I drove to his location in Ham Lake shortly after speaking with him. Upon arriving, I noticed the atmosphere was very welcoming, professional, and to-the-point. He let me take the car for a test drive on my own. I decided to purchase the car, the paperwork was completed quickly, and I was on my way. I would highly recommend Right Buy for your next vehicle purchase. The overall experience was quick, simple and so much more congenial than the larger car dealers I’ve dealt with in the past. Really liked my experience dealing with Chris and Phil and LOVE my car! My experience at Right Buy -- from the first time I emailed about the car I'd been drooling over for weeks, to my first visit and test drive, to the time I drove off the lot in my new BMW -- was truly perfect. First and foremost, the best part about this dealership is the people that run it. I had the pleasure of dealing with Phil, who was straightforward, honest, and very helpful in answering questions and guiding me through the buying process. Second, their facilities and inventory are top-notch. These guys hand pick their inventory very selectively and meticulously and every vehicle I saw was in immaculate condition (they keep most of the cars indoors). Overall, I would strongly recommend Right Buy auto to anyone in the market to buy a used BMW, Infiniti, or other hard to find luxury vehicle. Giving this place at least a visit is well worth the short drive from the Cities... if you're like me you'll probably walk away with a new (used) car and a smile on your face. Friendly sales person and great quality used cars! Bought a great condition LS400, really happy with the purchase! Phil, the sales manager, is probably the nicest person I've met during the car hunt, would recommend this used car dealer to anyone!!!! Five star review for a truly five star dealership!! What a fantastic buying experience. This is my 11th car purchase, and I can't remember a time that it has gone smoother or easier. Right Buy Auto seems to stock a lot of the cars that us "car enthusiasts" are after, and not the typical stuff you will see at 10 other dealerships. After finding the perfect white on red BMW 3-Series, they had me out the door in around an hour. No hassle, no juggling me between multiple people trying to get the sale accomplished. They give you that small town vibe where it's about making you feel valued as a customer and not just a number. To prove this even further, I was even able to bring the car back to have a couple dents taken out with no cost to me. I'd be hard pressed to find this level of customer service at another dealership. Chris and Phil were wonderful to work with before, during, and after the sale. Highly recommend you check them out, especially if you are after something a bit more unique. My wife and I bought a car here. Excellent experience they were friendly, professional, and we were in and out in no time. I would definitely buy another one from them. Chris and Phil are spectacular! My wife and I stumbled onto their website while checking out some dealerships close by. It's 5 minutes from our house and we never knew it existed. They had a variety of models we were interested in, so we stopped in to try to narrow down which we were interested in. We were blown away at their knowledge of their inventory and their attentiveness every step of the way. I personally enjoyed the no-haggle type of transactions at Right Buy Auto. After doing some research, we found that their vehicles are priced fairly. That took so much pressure off of finding a new car. No hidden fees, either. Last but not least, the attention to detail they have is second to none. At the first walk around, they pointed out a handful of dents and minor cosmetic issues (that to tell you the truth, I'd never have even seen them...) and they had them repaired prior to picking it up! When we brought the car in to have plates put on, they had the car detailed and repaired a ding in the door that occurred AFTER purchasing - gratis, I might add. I'd refer anyone here, and we will be returning when we need a new vehicle. Thank you Chris and Phil!  I purchased a vehicle from rightbuyauto over the web. They were very helpful and everything was as described. They very quickly shipped the vehicle at a reasonable price. I would recommend them and would buy from them again. A-1 duo at Right Buy Auto. From the minute I found the car online to driving it off of their lot, Phil and Chris went above and beyond. The vehicle I had prior to my purchase with them needed to be retired and I had been searching for months to find the perfect vehicle (very picky!). As someone that currently works in the Automotive industry, I feel confident in knowing what to look at and what to ask when buying a used car. When I found the car I was looking for, not only were they upfront and honest about the vehicle (despite it already being in fantastic shape) but they went out of their way to get the keys in my hands and me back on the road. Although I felt equipped to tackle an independent dealership, as others have attempted to scam me before, this aptitude wasn't required here. The whole process was transparent, professional and handled with care. For anyone looking to purchase their next vehicle, don't pass these guys up! Thank you Phil and Chris! Amazing experience!!!! Helped every step of the way! Will recommend Right Buy to everyone!!! Will definitely be back if i ever need another vehicle!!! We bought a vehicle from here last week and i have to say it was by far the best experience i have ever had at a dealership. Chris worked hard at getting the exact vehicle i wanted in a price range i could afford. He was straight forward, honest, not pushy, and professional. I will never purchase another vehicle else where. I highly recommend thst if you are in need of a new vehicle, stop by Right buy auto. You won't be disappointed. If you are thinking about buying a car from Right Buy Auto. Do it. Most people these days shop for a vehicle online, never knowing who they are going to be dealing with when they find the "right" car. I can say personally that Chris (owner) is completly on the level, knows his vehicles, and honestly cares that his customers have a great experience and want to do business with him again. I had issues with my a/c right away, (no fault of right buy) and the warranty company was attempting to refuse coverage. One call to Chris and the repair was approved within 24 hours. Right Buy Auto is an example of what all car dealerships and sales people should be. Thanks Chris! Really easy purchase. I'm incredibly busy, we were able to do the purchase, financing, and set up insurance in one phone call. 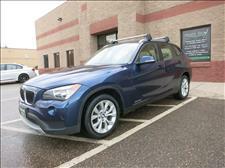 I just showed up, signed a few papers and drove out in an almost new BMW . Go somewhere else if you're looking for a cheap beater. They only have top grade cars and they know what they're worth. I looked it up they were about a grand under the local dealers for similar cars. Large dealers are overrated. If you're looking for a particular thing, go here. I've picked up two vehicles from Right Buy; the last one belonged to Chris himself! He's the man to talk to. I haven't personally purchased a vehicle from right buy, but I have assisted a few of my friends when buying used cars from Chris and I have to say that he is by far the easiest used car salesman I have ever dealt with. He makes sure that the cars he sells are top notch! 5 star rating for sure. I had an outstanding car buying experience at Right Buy Auto. They have a great selection of some hard to find luxury cars at very fair prices. The casual but very professional atmosphere makes the process of test driving and buying a car stress free. I will definitely return for my next car purchase. Thanks, loving my Q50s hybrid! I had a great experience buying my Infiniti M35X through these guys. I felt they were honest and that is REALLY important to me when looking for a car. I will be recommending them to my family and friends! Chris is the guy you want to buy your car from. He made the process extremely easy and took care of everything. Oh, and, he sourced my vehicle for literally thousands less than anywhere else I looked. Good job Chris, I'd give 6 stars if I could! Right Buy Auto is definitely one of the best dealers if not the best one I've bought a vehicle from. I bought an 06 G35 coupe from them and my experience with the process was great. The attention and how straightforward Chris was during the process made it a great experience. All the cars in the lot are well taken care of and clean as well as their office. They'll answer any questions you have and are also extremely friendly. Right Buy is a dealer I'd recommend buying from. After being in an auto accident, I made a last minute decision to go car shopping. As a first time car buyer, the process felt very smooth and I was comfortable working with both Matt and Chris. I went to two other dealers and neither came close to the experience I had here. Thank you for your help! 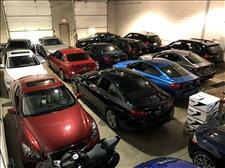 A great place to buy a used luxury car. They are very selective about what they stock. All the cars are in fantastic condition. I bought a used Infiniti Q60 with barely any miles on it. This was the best Q I had seen after looking for months on the net and checking lots. It also had the best price for the miles. Both Chris and Matt are straight talk guys. None of the none sense that makes car buying a miserable experience. The transaction was quick and enjoyable. Thanks guys! Keep up the good work! Definitely recommend these guys. At first I was a bit skeptical since there are a ton of cheap dealerships around town that you can't trust and this one seemed like just another one....but boy was I wrong! They have a huge stock of rarer luxury cars and they are priced fair for what they have. I left with a 2012 G37xS and let's just say 2 weeks later I am as happy as can be still. I recommend you at least giving them an email or call to check out what they have and you won't regret it. 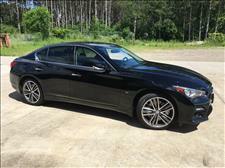 Bought a Infiniti G37x coupe from Right Buy Auto. Chris and Matt are cool guys. Had a good experience with them. I was in and out with the paper work and a new car. Thanks again guys. Right Buy was recommended to my by a friend when I was looking for my Jeep but they didn't have quite what I was looking for but Chris & Matt found exactly what I wanted and had it shipped here within a few days. Couldn't be happier with it or Right Buy. Will definitely be going back next time I am in the market. I bought a Infiniti from Matt and Chris. They were very knowlegable about the vehicle and put me at ease that it was the car for me! I would definitely buy my next vehicle from Right Buy Auto. I recently purchased an '06 Chevy Silverado from Right Buy Auto. Matt was very instrumental in helping us find the best vehicle to fit our needs. He was courteous, professional and made the buying process super easy and seamless. Right Buy is full service, including offering to help secure financing if needed. Although we got our own financing, Matt was ready and able to set us up with the means to get into our pickup that day. This is our second vehicle we have purchased through Right Buy and we don't have any plans to buy anywhere else! If you are looking to find a great vehicle at a great value, call Matt at Right Buy! I have bought 2 cars from Right Buy Auto and have loved both of them and they were both reasonably priced. The people are great to work with and they accommodate well. Matt and Chris made my first car-buying experience a fun and stress-free one. They were so helpful throughout the entire process, and I feel confident that I took home a great car at a great price! By far, the best price around for the Honda CR-V I purchased. Right Buy Auto was recommended to me and I can see why. Very nice people to work with and I will not hesitate to mention RBA to my friends. I will go back to Right Buy Auto for my next vehicle. 1st time having a great stress free time buying a vehicle. The men at Right Buy are easy, professional, knowledgeable, and price the vehicles at the right price to sell. You don't have to go back and forth with a finance manager to negotiate a price. My husband and I purchased 2007 Chev Suburban LTZ and we love it! Thanks guys and we will be back to trade it in when we are ready for a new vehicle! My wife and I bought a 2006 Outback from Jake, and when we arrived to look at the car, it was actually even nicer in person than the online listing. There's nothing more reassuring than knowing that the Right Buy guys know Subarus and clearly put the effort into finding quality vehicles and selling them at a great price. I would not hesitate to buy from them again! We recently purchased a vehicle through Right Buy Auto and had a wonderful experience, the entire sales team went above and beyond any dealership that we have ever worked with! Attentive and extremely helpful staff, great prices, HUGE selection, great warranties, low pressure sales, excellent customer service. Honestly, we could not have asked for a better car buying experience. We will definitely be recommending to Right Buy to everyone we know that is in the market for a new vehicle! When I was unexpectedly in the market for a new vehicle thanks to an auto accident, I wasn't sure what I wanted. After doing some quick research and focusing in on a make/model I wanted it was nearly impossible to find something available within 300 miles of the Twin Cities - even from the big dealers! Just before I was about to look out of state for some options, I came across Right Buy Auto... they had the exact car at an excellent price and to make things even better, they new what they were talking about with the paperwork to prove it. I would highly recommend them to anyone looking for their next vehicle (in fact I already have). If they don't have what you are looking for, there is a good chance they can find it. You won't be disappointed. My experience was purchasing a car from a small business that was created around the owner's love for cars, it is great to deal with someone that loves what they do. I contacted Chris, got an accurate description of the car and he completely accommodated my schedule. After the purchase, he and I discussed a couple of things that I was unhappy with (totally my fault) including no second key. Chris followed up and found the second key with the previous owner and sent it to me. He definitely went above and beyond to make sure I was satisfied. I would not hesitate to purchase a car from Right Buy again. My husband and I just recently bought a vehicle from Right Buy Auto. We were very impressed with everything. They were very friendly, patient and accommodating. I would definitely buy another vehicle from here. They took the stress out of car buying for sure! The guys at Right Buy Auto are so easy to work with and they got me an amazing new car. I had been looking to buy a Subaru Legacy and they had the best price! They beat out all the other dealerships in the twin cities and the car came with much more features which I love. I'm so glad I made the appointment to come check them out and purchased with them. A+ Customer Service! I recently purchased a 2011 Subaru Legacy from Jake at Right Buy Auto. 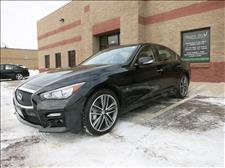 I located the listing for the car online, and was able to easily research a fully encompassing list specs and multiple photos on Right Buy's user friendly website. Initially, I emailed Jake with a couple of questions. He responded promptly. He answered all questions, and even talked to me about my trade in before I made a visit to the dealership. The first time I went to look at my Subaru was a weekday evening. I work late and live approximately 30 minutes from Right Buy Auto. Jake stayed late that evening so that I could come and drive the car for the first time. Jake always promptly answered my phone calls and texts. He helped work out the deal that was best for me. The entire process was seamless. Even more importantly, Jake was honest about my car. It's in suberb condition and was spotlessly clean. Jake is the man with the plan! I will be recommending Jake with Right Buy Auto to my friends and family. One of the least stressful car buying experiences I've ever had. Excellent price for the vehicle we purchased. Really great interest rate for those with very good credit. I would buy from them again. I highly recommend this dealership. I was in dire straights back in November when my trusty steed, "Jorge" the 1988 Subaru DL, died on me on the way to Thanksgiving dinner (really?!). I had a hard time finding the perfect replacement to a perfect vehicle until I came across Right Buy's listing of a 2006 Subaru Impreza 2.5i Manual Trans. I called them up and right away was able to schedule a test drive. During the test drive and all the way through driving the car off the lot, Jake at Right Buy was the ideal car salesman--in that he was not interested in selling me the car, just interested in making sure I had a good experience and was able to make a well-informed decision. I've had the car now for a few months and it's performing flawlessly. The financing deal Right Buy was able to secure was phenomenal and, through their connection with a local mechanic, I will always have a trustworthy place to get repairs and scheduled maintenance. I highly recommend Jake and the whole Right Buy team. They've set the bar for dealerships as far as I'm concerned. I bought a car for myself about 3 weeks ago. Now my daughter's car needed major repairs. So I called Chris again. Help us find a car that she could afford. She financed her first car. She is very happy with her new Mazda. Our family has bought 2 cars in a month. I would highly recommend talking to Chris next time you need a car. He is great. I really appreciate all he has done for us. Wonderful car buying experience. I purchased a 2005 Subaru Outback, and absolutely love it. Jake went above and beyond. I took delivery of the Subaru on a Monday morning, in a snow storm, and Jake had the car outside, gased up, and ready to go. The car was exactly as described. Clean Carfax, new tires, and new Weather Tech floor liners. I got the vehicle for well below KBB! I will recommend Right Buy in the future to my friends & family. I look forward to doing business with them in the future! Made a purchase at right buy last week and had a great experience. i purchased a Subaru legacy and I am so glad I did. Jake was great and was respectful of my time. I would recommend them to a friend. I bought a Subaru Impreza during a snow storm. The process of buying was strait forward and easy. The car was a great deal. I got a premium for less than the price of a base model at other dealerships. The salesmen even offered to give me a ride to drop off the rental car. I was pleased with the service overall. I was a bit nervous buying from a smaller dealership. When I was thinking about it, I never go back to the dealership I bought my previous cars at for any kind of service or anything. So it was less of an issue. I have had the car a week now and it is very solid. I have not had any issues and the car was exactly as advertised. No hidden issues at this point. I would buy there again is the bottom line. I had a great experience purchasing a 2012 Subaru Impreza from Jake at Right Buy Auto. Jake was thoroughly professional, easy to work with, and straightforward in all business dealings. The Subaru was in excellent condition, and is currently running great. I am really happy with my purchase, the price I pain, and the whole experience working with Jake. I would strongly suggest checking them out if you're in the market for a car. Jake and Chris were both extremely helpful with finding the perfect vehicle for my needs. My wife and I were amazed at the customer service we received both over the phone and once we came in to purchase our vehicle. I would not hesitate to purchase from Right Buy again, as it was by far the most seamless vehicle purchase I have ever made! Seeing how passionate Jake and Chris were in making sure my wife and I were satisfied has made us a customer for life! I was a little skeptical about have to call to setup an appointment to see a car, but I'm so glad I did! I bought a Subaru Impreza from Chris this week. I really appreciated how straight-forward he was and how simple, hassle-free the whole experience was. There was no pressure at all and he gave me an incredible deal. I would definitely recommend Right Buy Auto to family and friends. Excellent customer service, very easy to work with! My husband and I drove from Eau Claire, WI just to look at a car here and we ended up basically buying it on the spot. They was very personable, friendly, and accommodating of our needs since we were traveling in from out of town. Right Buy also has continued to make sure everything has been going well with us after our purchase. We highly recommend Right Buy and couldn't be happier with the service we received. A++! Chris and the staff at Right Buy do exceptional work. 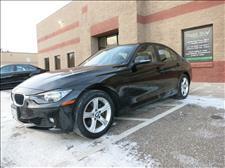 I just bought a BMW 335i from them FROM FLORIDA. I was very specific about which car I wanted and when Chris found it in Florida, they made it happen. During the course of the shipping of the vehicle I was informed frequently the status of the car and where it was. Once it arrived (late on a Saturday), Matt was there to prep the car for me prior to me taking it. Overall best experience working with Chris and the guys at Right Buy! Would (and do) recommend anyone to the fellas over at Right Buy. Chris was friendly and knowledgeable. He gave me a good price on my trade-in and I love my car. Since I got the car in August I have only needed to replace the tires and get an alignment. I am glad to have a car that I can count on.